Editor's Note: This is the first in a six-part series highlighting missing persons cases in Centre County. Authorities are investigating the unexplained disappearance of Cahill-Shadle, 48, who was last seen May 15 at Walmart on North Atherton Street in Ferguson Township. She joins a group of missing persons connected to Centre County, including Joey Lynn Offutt, Ray Gricar, Hyun Jong "Cindy" Song, Dawn Marie Miller and Brenda Louise Condon. In all cases, these adults vanished. While in some instances evidence indicates foul play, each disappearance remains a mystery. Kenneth Mains, founder of the American Investigative Society of Cold Cases (AISOCC) and detective for the Lycoming County District Attorney's Office, says missing persons cases are challenging to solve due to investigators' workloads and a lack of resources. "What the public doesn't understand is a detective's workload never slows down. They're working on leads in the beginning. Then they die down. And those robberies, those burglaries, those criminal mischief cases, they keep coming," says Mains. "And eventually, the case gets pushed to the side. Then it goes in the drawer. Then, the next thing you know, it's in the vault because they can't spend their whole time on that one case." Part of the problem, Mains says, is that eventually a detective's leads dry up. Mains says when that happens, a detective should actively generate new leads by going out and talking to people. However, Mains says often detectives keep getting new cases and don't have the time or resources to generate those new leads. "It's a catch 22. They try their best to solve these cases," he says. Mains' organization helps law enforcement agencies by looking at cold cases on a pro bono basis. Mains, along with other established investigators from across the country, have looked at hundreds of cases since 2013. Law enforcement agencies provide the team access to the cold case file. The team reviews the materials and then drafts a report that highlights details potentially overlooked by the original investigators or makes suggestions for potential suspects because their statements to police don't add up. "I truly believe that these law enforcement agencies are doing the best they can with the resources they have, but that's why my organization is here, to offer more resources," says Mains. When a person is reported missing, Mains says the key is to get information about the potential victim to the news media as quickly as possible. Additionally, Mains says investigators should learn everything possible about the potential victim -- their habits, their hangouts, their friends. "You have to know every detail about them because that will tell you whether she ran away or was a victim of foul play," he says. This is the story of Jennifer Cahill-Shadle. 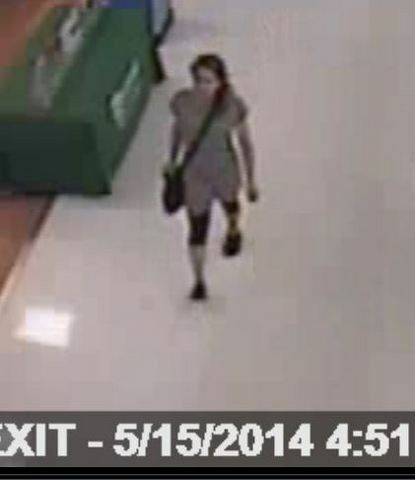 Cahill-Shadle was last seen around 5 p.m. May 15 at Walmart carrying a black shoulder bag. Police released surveillance images of Cahill-Shadle from Walmart, which were captured about 4:51 p.m. while she's seen exiting the store. At that moment, the mystery begins. Johanna Zmuida, Cahill-Shadle's mother, reported her daughter missing May 19 after not hearing from her for several days. Typically, Zmuida says her daughter calls her every two or three days. She last spoke to her May 13. Cahill-Shadle resided in Ferguson Township for years before moving to Orwigsburg last November to live with her mother. She returned to the State College area in April, staying at hotels or with friends, but not at the Ferguson Township home she shared with her husband. Zmuida says her daughter was going through a divorce. After staying with her mother, Cahill-Shadle decided to move back to the State College area to be closer to her two children. Zmuida says her daughter stayed was looking for an apartment. Cahill-Shadle does not have a car and usually gets around by walking or taking a taxi. Police describe her as a white female who is 5-feet 4-inches tall, weighs 115 pounds, and has blue eyes and curly brown hair. There hasn't been any activity on Cahill-Shadle's credit cards or insurance cards. "I know she didn't leave on her own. She would not have left her things behind. I'm fearful something has happened to her. She would never leave town and not call me or leave town and leave her belongings behind," Zmuida says. 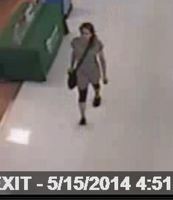 Zmuida is certain someone who was in the area of Walmart on North Atherton Street around 5 p.m. May 15 has critical information that could lead to her daughter's whereabouts. "We have been pleading with people, if it was your child, your loved one, wouldn't you want someone to step forward and help and find your child or your loved one?" Still, Zmuida worries society has changed too much and key information could be lost. "How many times do you hear stories where people are getting mugged or beat up and people just stand by and video tape it? I know what they feel like," says Zmuida. "Jenny was a good-looking person. I think if people really think about it, it was almost 5:00, it was busy there at that time, there were quite a lot of people. Somebody has to remember something, somebody had to see something, and I would just ask that they please come forward and give police the information." Anyone with information about Cahill-Shadle can contact Ferguson Township Police at (814) 237-1172 or 1-800-479-0050. Earlier this month, investigators began pursuing a new lead. 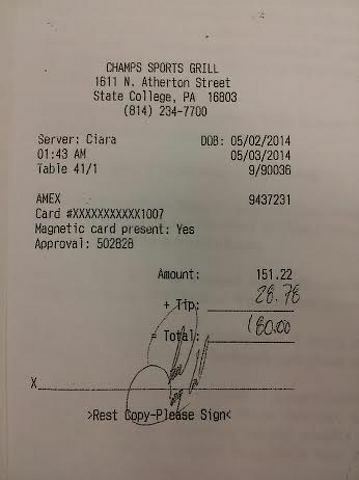 Police are seeking the public's help to identify a group of men who shared drinks with Cahill-Shadle at Champs Sports Grill on North Atherton Street the evening of May 2, roughly two weeks before she was last seen at Walmart in Ferguson Township. Police say the men are not suspects, but detectives would like to talk to them in hopes Cahill-Shadle may have discussed her plans for the near future. Police are seeking the public's assistance in identifying this cardholder. Photo provided by Ferguson Township Police Department. 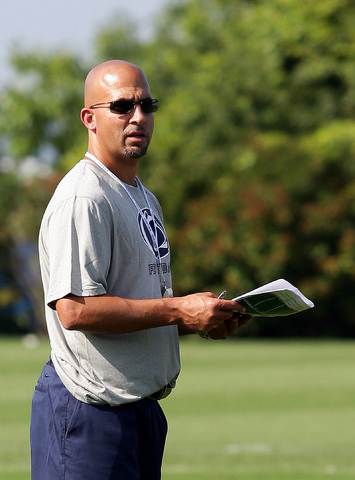 First and foremost, James Franklin is a football coach, and in less than three weeks he will finally take to the sidelines for the first time as the head coach at Penn State. Hired in February to replace Bill O'Brien, Franklin has been a whirlwind. He is seemingly everywhere, talking up the university, its academic and athletic programs, and especially its football program.